Can Someone Drive Your Car If They Are Not on Your Insurance? Most drivers either have had a friend or neighbor ask to borrow their car or have asked to borrow someone else’s car when their own car is unavailable. In most cases these friendly transactions take place with little or no thought of whether the car owner’s insurance extends to someone who is not on the owner’s insurance policy. When the borrowed car is involved in an accident, however, insurance coverage becomes a prime consideration. The Los Angeles car accident attorneys at Ellis Law Corporation represent drivers and pedestrians throughout southern California who have experienced property damage and injuries in accidents where a motorist is not a listed driver on the car’s insurance policy. We have a thorough understanding of how insurance coverage in these situations affects the compensation that an injured party is entitled to receive. Your initial consultation with a personal injury attorney at our firm is free of charge, and you owe us no money unless we win your case. Trust our track record: We win 99% of the case we take on! First, determine if the car or driver are covered by any insurance. A person does not need to be named in a car insurance policy for insurance coverage to be effective. 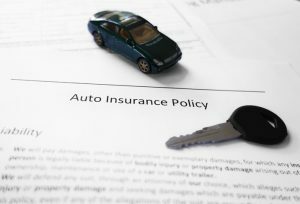 The insurance policy that covers a car and the driver’s own insurance policy will include provisions and exclusions that define when and how a car and driver are covered. Further, the state in which the vehicle is registered and the circumstances in any accident where insurance coverage is sought will also be important considerations. These variables preclude a universal answer to the question of whether a person can drive your car if they are not on your insurance. The insurance coverage that might provide reimbursement for property damage and personal injuries in a car accident will be different for each different situation. Recover compensation for collision and comprehensive property damage. Auto insurance coverage for collision and comprehensive damage goes with the car. A car owner’s insurance will generally cover the cost of repairs as long as the person who was driving the car had the owner’s permission to operate the vehicle. In most cases, a car owner’s family members are assumed to have the owner’s permission to drive his or her car regardless of whether those family members are named in the policy. If the driver did not have the owner’s permission, the insurance company may not cover collision or comprehensive damage. Specific policy provisions determine the extent of liability coverage. Unlike collision and comprehensive coverage, liability coverage usually goes with a driver rather than with a car. Subject to any exclusions in an insurance policy, a driver’s own insurance will provide liability coverage for all eligible vehicles operated by that driver. A few of the more common exclusions are cars that are not deemed to be private passenger vehicles, and cars that are not being driven as replacements for other eligible vehicles under the driver’s policy. Again, the specific terms and conditions of the applicable insurance policy will be the starting point for any determination of liability coverage for injuries. What you can do if there is no available insurance coverage. If you are in an accident with a vehicle and driver that have no applicable insurance coverage, you can sue the driver and the owner of the other car in an attempt to recover compensation for your property damages and medical costs. Likewise, another party can sue you directly if you or the car you are driving are not covered by any insurance. If a driver or a car’s owner have no assets to pay for any costs and damages, however, that lawsuit will have little value. California requires car owners to carry uninsured and underinsured motorist insurance. That insurance may be the last resort for reimbursement if the person driving your car is not covered by insurance or if you are in an accident with a person or car that has no insurance. Insurance coverage issues are rarely straightforward and the language in auto insurance policies can be a challenge to understand. An experienced personal injury lawyer will always be a more objective advocate for your case than your car insurance agent or a customer service representative from an insurance company. The Los Angeles personal injury lawyers at the Ellis Law Corporation can help you determine the extent of insurance coverage that may be available for a person who drives your car but who is not otherwise named in your insurance. If that person is in an accident, we will provide a complimentary consultation to review all applicable policies and to verify insurance coverage. We can also help you recover the largest amount of compensation for damages and injuries that may be available under those policies. Call us or see our website for more information on how we can help you to cut through the insurance red tape and to recover the compensation you deserve.